In present times, there is a dire need for transparency and accuracy in accounting services provided to businesses. We, at DNS Accountants, understand the need of the hour and strive to fulfill the same by providing expert tax accountants, online accountants, IT accountants, small business accountants and chartered accountants in Colchester. 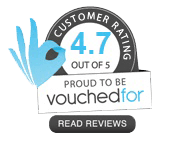 Since our establishment in 2005, we have helped our clients achieve the desired results through immaculate accounting from our experienced accountants. Our contractor accountants in Colchester are all well-qualified with degrees from well-accredited universities. They are also members of professional accounting bodies like ACCA and CIMA. They are well-experienced and leave no stone unturned to satisfy a client’s service expectations. Colchester also the oldest recorded town in England is one of the most vibrant and cosmopolitan cities in the UK. It is also known as one of Britain’s fastest growing towns. It is culturally and aesthetically rich and is home to several museums, archaeological parks, and theaters which regularly organize drama festivals drawing viewers from all over. Colchester is also a tourist attraction and hosts many visitors. It offers secondary education through some schools and has private University, the University of Essex which provides high-quality tertiary education. Colchester is also home to Colchester United Football Club, Colchester United Ladies, and Essex County Cricket Club. This fastest growing city is an investment hotspot with over £ 3billion to be invested across five regeneration areas in North Colchester, Knowledge Gateway at the University of Essex, St Botolph's in the town center, the Garrison, and also at The Hythe. East of England is expected to grow faster than any other region in the country over the next 15 years. Colchester is earmarked as the place to grow with expectations of 18,800 new homes by 2023 and 14,000 new jobs by 2021. What do we provide in Accountancy Services? We provide you skilled and professional tax accountants, chartered accountants, small business accountants, online accountants and the best IT accountants. Our tax accountants provide specialized services with commitment and dedication. They collect all tax-related information, report to taxation authorities at the federal, state, county, and local levels promptly, and advise management on the tax impact of various corporate strategies with their skillful approach. Our IT accountants maintain financial security by following internal controls and prepare payments by verifying documentation, and requesting disbursements. With a complete understanding of court procedures, we can present evidence appropriately and calmly. They answer accounting procedure questions raised by authorities, by researching and interpreting accounting policy and regulations. They update their professional and technical knowledge by attending educational workshops; reviewing professional publications; establishing personal networks and participating in professional societies. Our chartered accountants in Colchester provide auditing and company secretarial services. They become trusted advisors for the client and add value to their work and business. They maintain customer confidence and protect operations by keeping financial information confidential. Our small business accountants prepare documents such as income tax returns, monthly reports, and financial statements. They prepare special financial reports by collecting, analyzing, and summarizing account information and trends. Submit up-to-date details of employees electronically to HMRC for PAYE or NIC every time you pay your employees. There are various other matters that one needs to take care of in Payroll RTI as there are various possible situations that may arise when it comes to keeping track of and paying the employees. DNS accountants are well-trained in managing records with plenty of practical experience. We charge £300 for providing this service. It must be invested in some qualifying business investment. It can be invested in a company where the investor or associates are involved. It must be invested in shares or loans. The gains received when the investment is sold will be subjected to the UK capital gains. Funds must be invested within 45 days after bringing it to the UK. There is no upper limit for Business Investment Relief. Our accountants specialize in Business Investment Relief and have gained immense experience in providing this particular service. At DNS, we charge £150 for Business Investment Relief services. 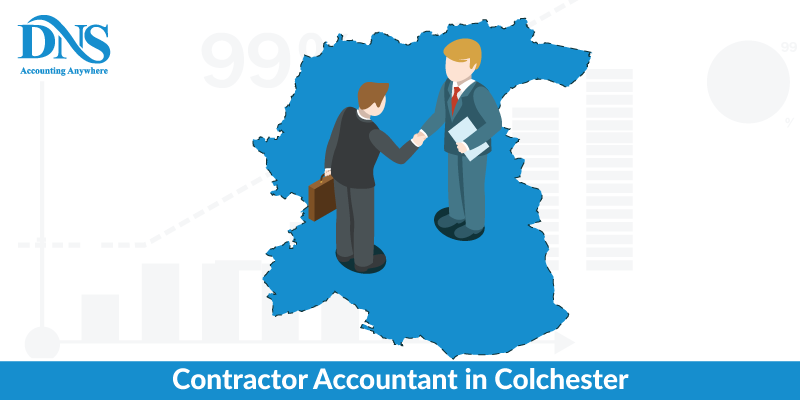 We provide contractor accountants in Colchester with required experience in various accounting and taxation fields efficiently and effectively. With our services extending to areas like West Bergholt, Rowhedge, Wivenhoe, Great Horkesley, Cambridge, Chelmsford, we will be happy to serve new clients, widening our network and increasing our connections. Providing the best of services to our clients and attaining their satisfaction is our only motto. We have and always will cherish our relationship with our clients and will repay them with personalized assistance regarding tax advice, business development and fund management.